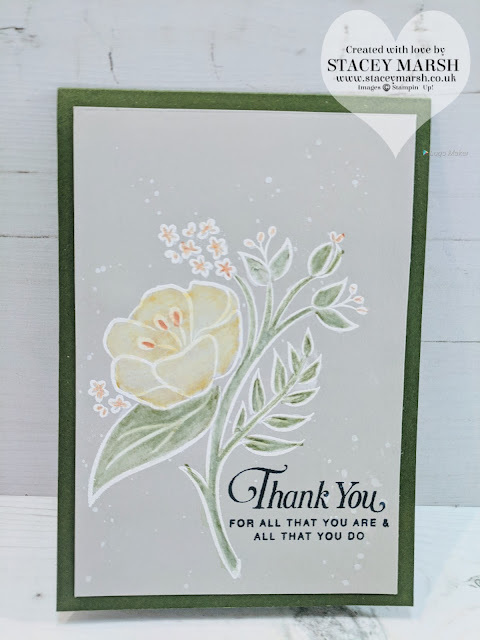 I finally got my hands on the new "All That You Are Stamp Set" that is a new Cling mounted set that features in the Spring/Summer Catalogue. This stamp set is EVERYWHERE at the moment and after a little play I can totally see why! 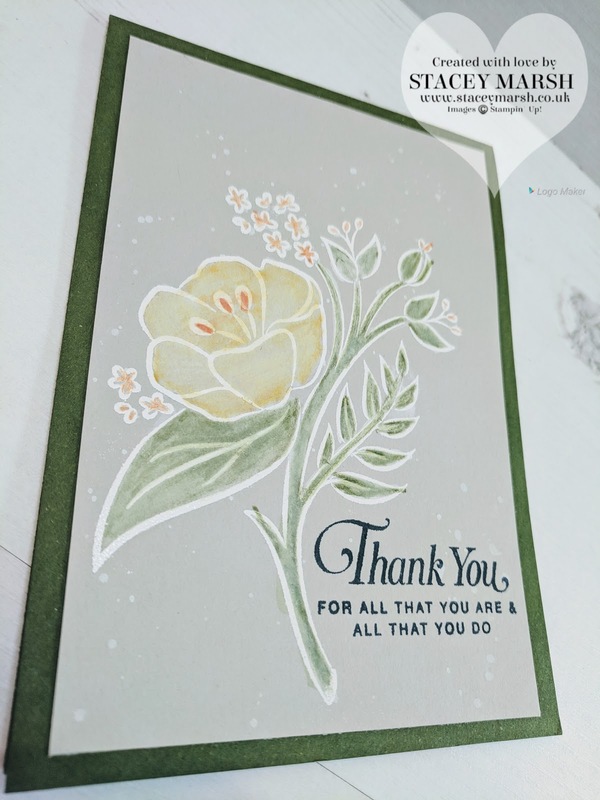 I took inspiration from this card from the very talented Artisan Design Team member, Emma Goddard, AKA The Coastal Crafter who featured this stamp set a few weeks ago, hence why I had to then buy it! The sentiment has been stamped using a Tuxedo Black Memento Ink Pad.